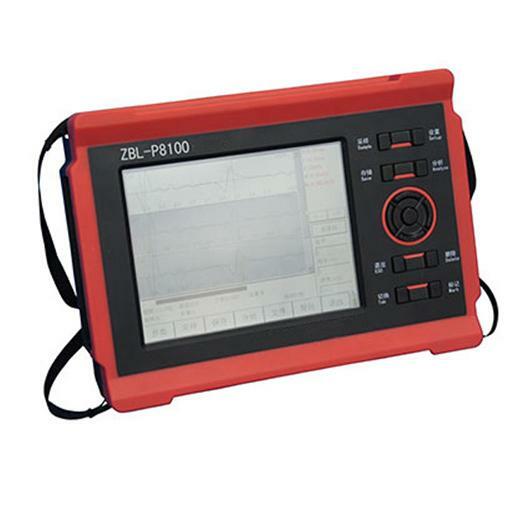 The P8000 Wireless Pile Integrity Tester is a Wireless Foundation Pile Dynamic tester using the low strain reflected wave method for testing integrity of Concrete Pile and identify the extent and location of pile defect. The utilisation of the instrument provides the ability to assess possible presence of cracks, discontinuities and voids prior to construction in pre cast concrete piles or cast in place concrete foundations or wood foundations – allowing testing of any number of piles quickly and cost effectively on a project site. The P8000 Pile Tester can also be utilised to test the pile integral in an existing structure such as existing bridge or towers etc. The utilisation of the P8000 Pile integrity tester is pertinent for testing of building foundation piles, Dynamic Pile tests in highway engineering and for non destructive testing of railway piles. Utilisation of the instrument is simple and the touchscreen PDA provided with pre loaded software accepts data from a wireles accelerometer. A hammer is provided for excitation. The instrument meets most requirements of project testing, is easy to learn and can be mastered in a few minutes. The instrument itself is very compact , easy to carry and is based on lithium ion rechargeable batteries. Wide dynamic range, low noise amplifier system, 24 bit A / D sampling; signal has good stability, so the defect and pile bottom can be identified easily. Wireless connectivity between accelerometer and PDA allows easy and more flexible usage on site. PDA can be utilized upto 10 meters away from the accelerometer. Real time on-site processing such as smoothing, differential, filtering, exponent and linear amplification can be given to tested wave form. The signal noise can be eliminated by taking average superposition of multiple signals. Superposition signals can be checked at any time, poor-quality signals can be rejected. Gain value can be adjusted according to length of pile, condition of pile top surface. File Management including easy viewing of projects and files related to project. Easy creation of new pile project with naming of pile and capability to photograph piles under test and associate with pile name / number. With output to computer for post processing or issuance of test report.